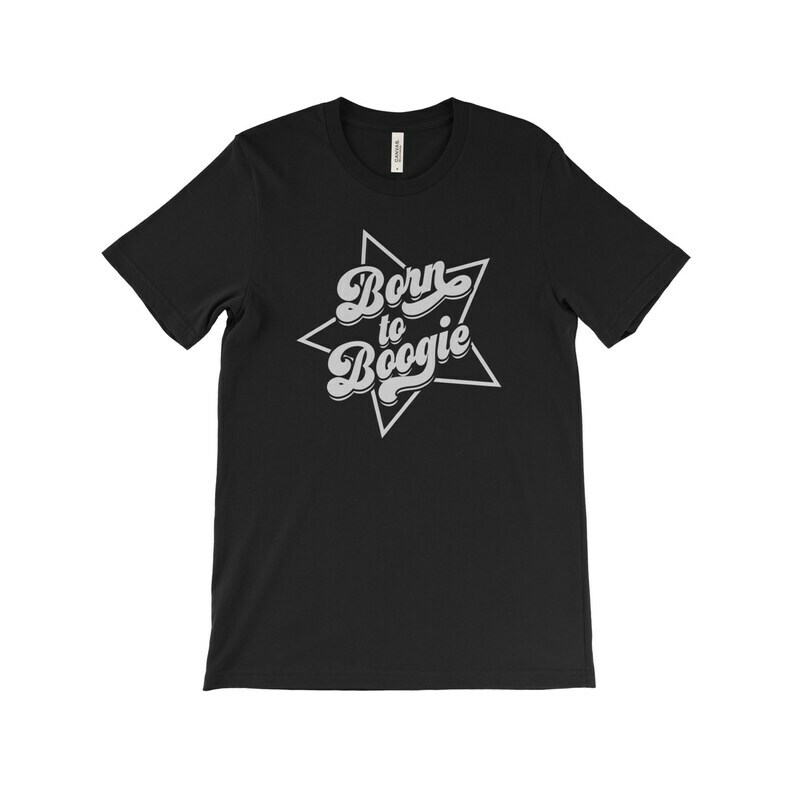 This hand screen printed short sleeve cotton t-shirt features our Born to Boogie design on the front. - Printed on a Bella / Canvas t-shirt. - Modern athletic style fit. - 100% combed & ring-spun cotton. - Super soft, lighter weight.